It was amazing! Caribbean Earth Skills instructors Matt and Carmen Corradino introduced us to the wonders of their tropical paradise at Mt. Victory Eco-Camp. We harvested clay from the landscape and fired our pots in a campfire. We cooked meals over the campfire using banana leaves and local ingredients. We visited incredibly beautiful beaches and explored underwater landscapes. We made bows and baskets from local plants and played games with local homeschoolers. We relaxed and soaked up the peaceful island vibe. Please join us next year- February NYC public school winter break!! We’ll post dates soon! It is no exaggeration to say that Survival Skills is my son’s favorite thing about school and life, so he is heartbroken to not be in the workshop right now. He said it was the number one thing in his schedule last fall. 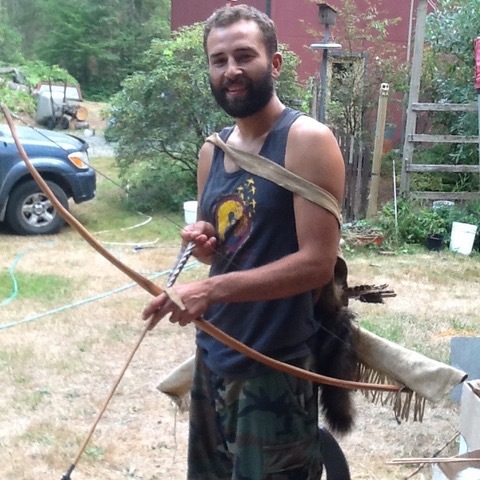 Great Article about Joe Blevis, ELS Instructor and Wildman of Warwick! We had a fun week in August with guest instructor Geoff Fisher! Clues, and pirates and treasure!!! What a great party it was in Prospect Park! It's been a really fun group. This week we experienced the rich spring flora and sampled some wild edible plants. We also played Fire in the Forest and one round of Tail Tag and learned how to make cordage. Feeling very grateful for our amazing parks in NYC! We've been having great classes each week! This week we went down by the lullwater and foxwalked past sooo many turtles without disturbing most of them, we saw some kind of heron, and we played coyotes and rabbits, learned about throwing sticks, and how to make cordage. Last week we did some tracking guessing games and played eagle eye. 65 7th Graders from the Institute for Collaborative Education, 5 teachers and 9 Earth Living Skills instructors spent three days and two nights at the Princeton Blairstown Center in early May. There were lots of activities: burnt out bowls, awareness games, friction fire, plant walks, sleeping out in shelters, getting camoed up and sneaking up on other groups, whittling, bird language skits, big games in the field and more. It was a rainy day so we made a shelter! Then we played a game of chance and peeled some pine bark inside our shelter. Our shelter was warm and mostly dry, and all 6 of us fit in pretty comfortably. BNS 2nd Graders learned how to build a Debris Hut in Prospect Park. 6 potential new ELS instructors were invited to Zach's house for a day of working on skills and discussing different approaches to teaching nature connection. ELS helped out with Mayan weaponry and diorama building. "Just wanted you to know we got tons of feedback about the "bumped-up" (not my words) projects you did with the kids--in my room, the drums especially were a fan favorite! They wowed some long-term 4th grade teachers even. So glad you're part of this team and process, and hope to keep bumping things up." "Thank you Nancye!! A few parents told me that their kids normally never talk about school but they told them all about project time and all the tools they got to use!" 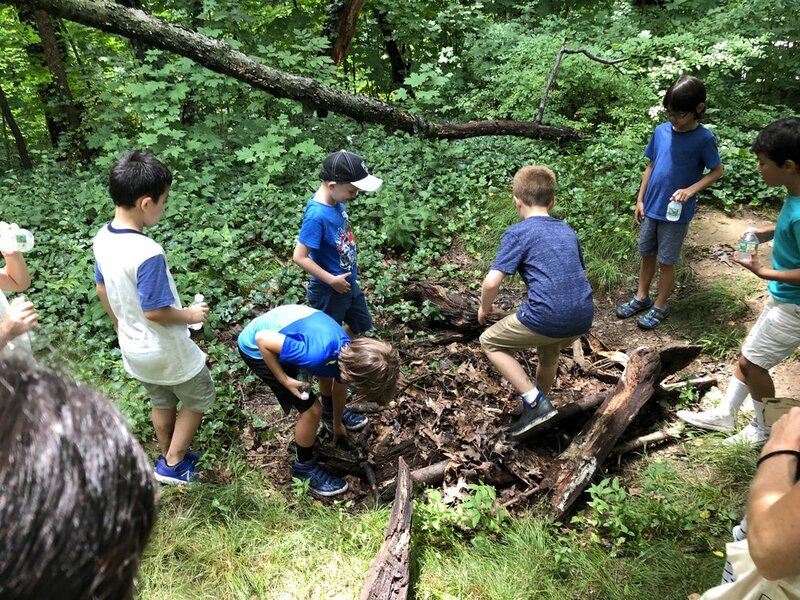 Two groups of 8 homeschoolers learned about wilderness living skills such as shelter building, friction fire making, lost proofing, stone tool making and more. At the end of each 2.5 hour session the two groups would come together to play a large group game such as tail tag or Mice and Ermine. Instructors Zach and Nancye worked with over 90 5th graders showing them how to make friction fire with bowdrills and making ash cakes and processing acorns to make acorn flour. It was well received!